I wanted to paint the ceiling as Michaelangelo would have done. But already some one had been at it what with clouds so life-like. I did not have the heart to paint and instead began drawing cheques. There are two ways for a barefoot doctor to handle a banana in an African Jungle: give the banana to the silver back and slip on its peel yourself. ‘Have banana will travel as the bushmen say.’ The other way is to eat the banana and give the peel to the silver back. No one has lived to tell how does a peel taste to the great apes. I had an uncle of lamentable memory who was good at standing up any one who had an appointment with him. When finally death came up my late uncle said,’Cant you knock before you come in?’ That is why I am here for and death gave a knock out that he would never remember. 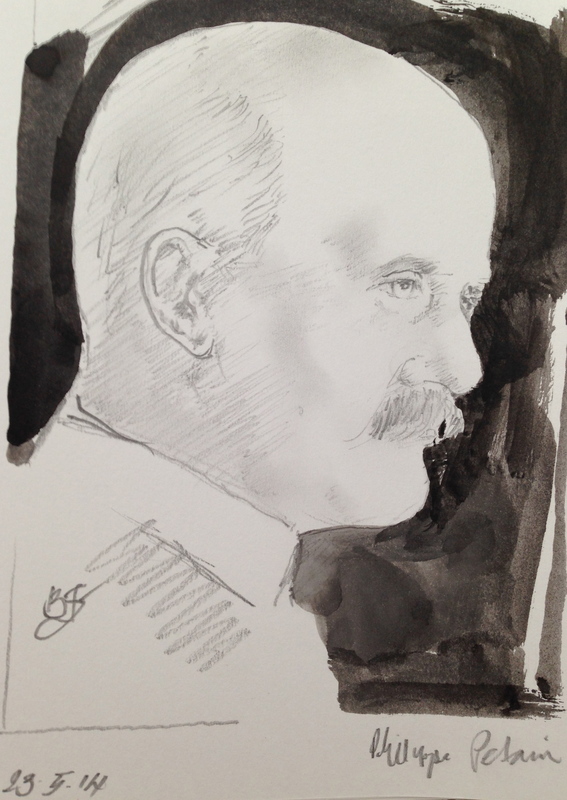 Philippe Henri Pétain was a military and political leader and France´s greatest hero in World War I (1914-1918). He was later condemned as a traitor for having headed the pro-German Vichy regime after France’s defeat in World War II (1939-1945). Born in Cauchy-ó-la-Tour in 1856, Pétain was educated at the Saint-Cyr military academy and the École Supérieure de Guerre (army war college) in Paris. 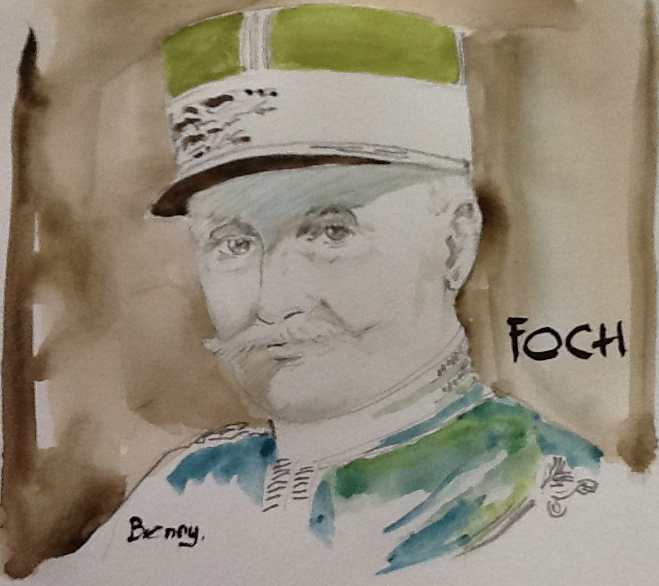 As a general during World War I, he won fame for his successful defense of Verdun against the Germans in 1916. 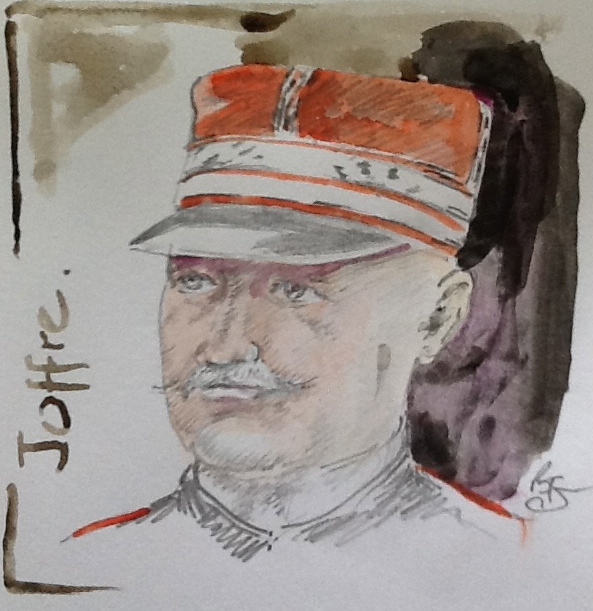 Later, as commander in chief, he did much to restore morale in the French army after a series of mutinies in 1917. He was made a marshal of France the following year. 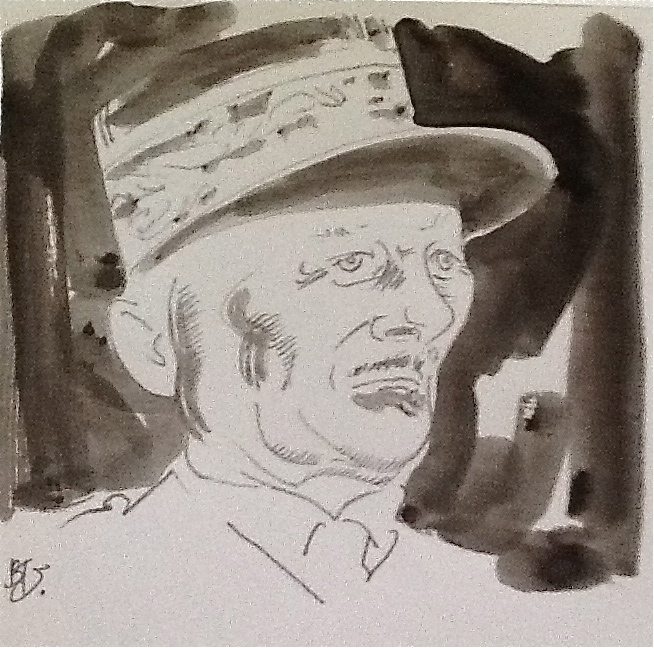 During the 1920s Pétain served in French Morocco. In 1934 he was minister of war, and from 1939 to 1940 he was ambassador to Spain. Following the German invasion of France in 1940, Pétain – then 84 years old – was recalled to active military service as adviser to the minister of war. On June 16, 1940, hesucceeded Paul Reynaud as premier of France and soon afterward he asked the Germans for an armistice, which was concluded on June 22. On July 2, with the consent of the Germans, he established his government in Vichy in central France, and on July 10 he assumed the title of chief of state, ruling thereafter with dictatorial powers over that portion of France not directly under German control. Pétain and his prime minister, Pierre Laval, established a Fascist-oriented government that became notorious for its collaboration with German dictator Adolf Hitler. The Vichy government ruled with Germany’s approval, appointing all government officials, controlling the press, and practicing arbitrary arrests. The government also passed anti-Semitic laws and rounded up French, Spanish, and Eastern European Jews who were deported to German concentration camps. With the German army occupying two-thirds of the country, Pétain believed he could repair the ruin caused by the invasion and obtain the release of the numerous prisoners of war only by cooperating with the Germans. In the southern part of France, left free by the armistice agreement, he set up a paternalistic regime the motto of which was “Work, Family, and Fatherland.” Reactionary by temperament and education, he allowed his government to promulgate a law dissolving the Masonic lodges and excluding Jews from certain professions. He was, however, opposed to the policy of close Franco-German collaboration advocated by his vice premier Pierre Laval, whom he dismissed in December 1940, replacing him with Admiral François Darlan. Pétain then attempted to practice a foreign policy of neutrality and delay. He secretly sent an emissary to London, met with the Spanish dictator Francisco Franco , whom he urged to refuse free passage of Adolf Hitler’s army to North Africa, and maintained a cordial relationship with Admiral William Leahy, the U.S. ambassador to Vichy until 1942. When, in April 1942, the Germans forced Pétain to take Laval back as premier, he himself withdrew into a purely nominal role. After the Allies landed in France in 1944, Pétain went toGermany and then to Switzerland. He returned to France after the war to stand trial for treason. In August 1945 he was found guilty of intelligence with the enemy and sentenced to death. The sentence was commuted to life imprisonment, and he was moved to Ile d’Yeu, an island off the coast of Brittany, where he died.